Silk Fruity & Creamy Yogurt Review. Is it as Good as Regular Yogurt? BzzAgent sent me several free coupons to go to my local store to get the yogurts free of charge. 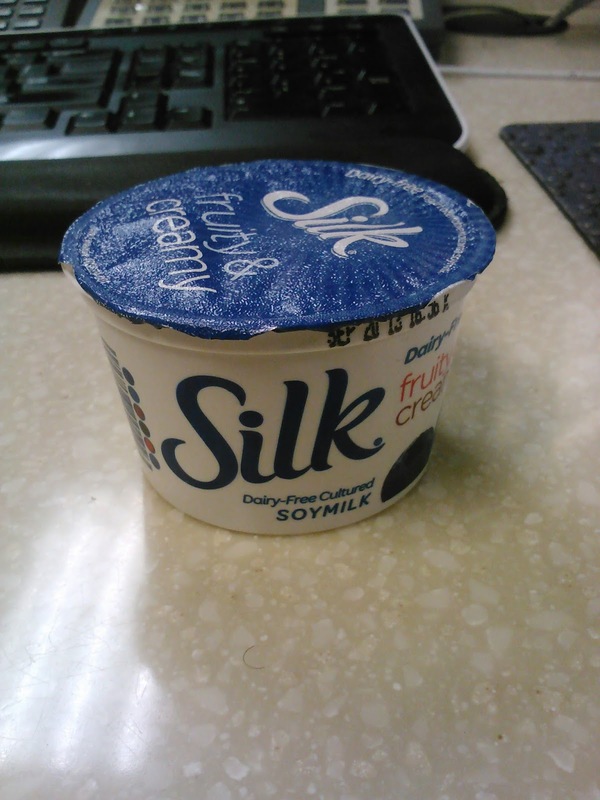 I never knew that Silk now has yogurts. I did know they had soy milks since I use to drink them due to the fact that I'm a bit lactose intolerance. I don't drink soy milk anymore since I'm now drinking rice milks. I went to Kroger to pick up my free yogurt in the health foods refrigerator section and chose the blueberry for my first try. I must admit I kind of didn't know what to expect on how it'll taste and to my surprise it was good! It was creamy but not too thick, great blueberry taste, and this yogurt actually taste better than regular yogurts made with milk. I couldn't put my spoon down! Available in Blueberry, Strawberry, Peach Mango and NEW Vanilla, Silk® Fruity & Creamy is sold in 5.3 oz containers for a suggested price of $1.29. Is Silk Fruity & Creamy Yogurt Worth a Try? This is a very yummy yogurt! I can't wait to try the other flavors! If you enjoy soy milk, you'll definitely enjoy these yogurts! UPDATE 8/27/13: I just tried the Peach Mango flavor this morning and it was delicious! So far, it's now my favorite flavor!